MICROBE-LIFT/Biological Mosquito Control kills developing mosquitoes before they become breeding, biting adults, including those which may transmit West Nile Virus and Equine Encephalitis, and those which may transmit Heartworm Disease to dogs and cats. 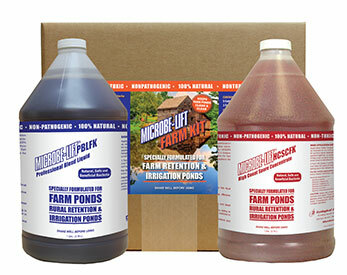 MICROBE-LIFT/Biological Mosquito Control can be applied to areas that can contain aquatic life, fish and plants. 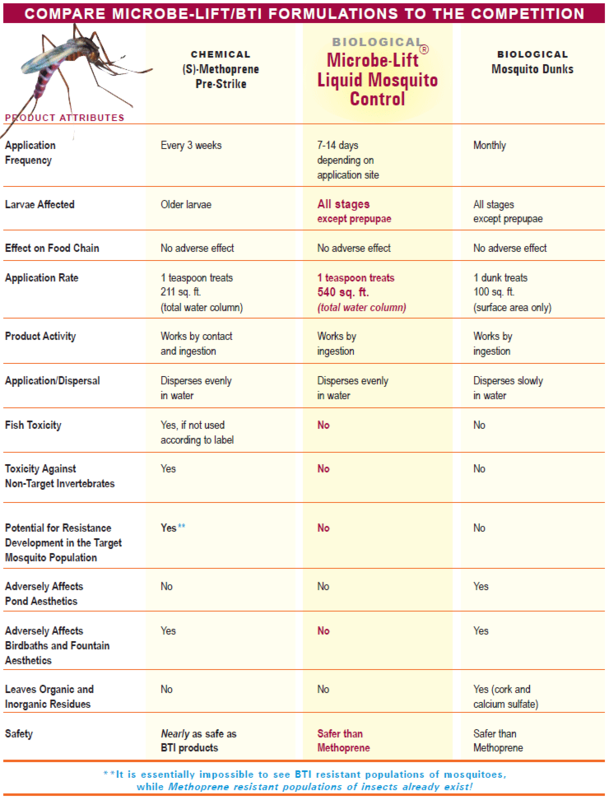 MICROBE-LIFT/Biological Mosquito Control can be applied to areas used by or in contact with humans, animals, horses, livestock, pets, birds or wildlife. 1 gallon (3.785 L.) (BMC1G4) Treats large bodies of water.